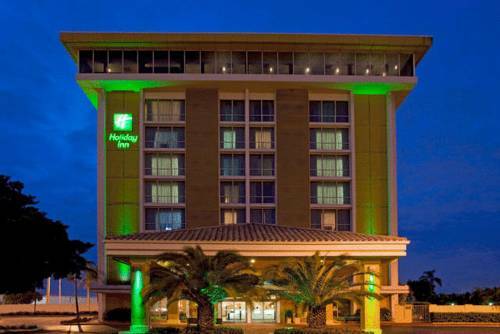 Located two miles from Miami Airport, the Holiday Inn is about five miles from downtown Miami and two miles from Highway 836. The train station is a mile away, and guests can reach the Port of Miami in 15 minutes. The trendy stores and thriving night life of Miami Beach are a 15-minute drive away, and many golf courses are within five miles of the hotel. 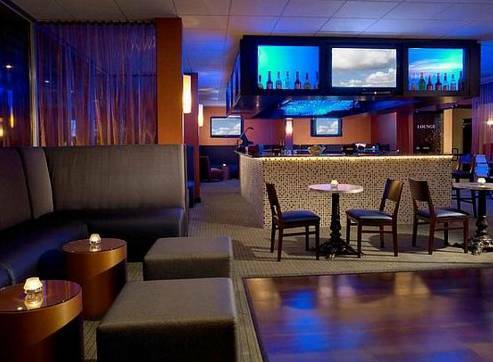 The nine-story Holiday Inn offers 218 smoking and non-smoking rooms, where you can use free Wi-Fi and flat-panel TVs to stay connected and enjoy a cup of freshly brewed coffee. Mingle in the sleek bar, meet friends for dinner at the rooftop restaurant or indulge with 24-hour room service. Stay fit in the 24-hour exercise room and relax in the outdoor pool. The business center has copy, fax and print services. Other amenities include an outdoor grilling area, a guest laundry, an ATM and a small convenience market. Parking is free, and 24-hour airport shuttle service is provided. 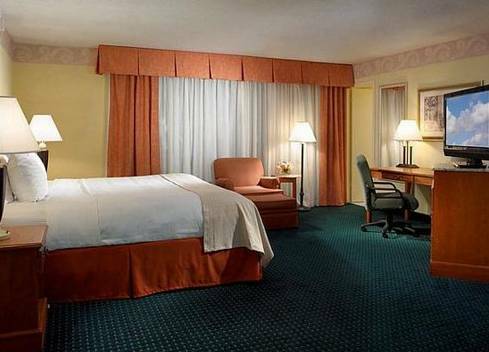 Priceline guests agree that the Holiday Inn has an "excellent location" near the airport, as well as "big" rooms and a "professional" and "kind" staff.